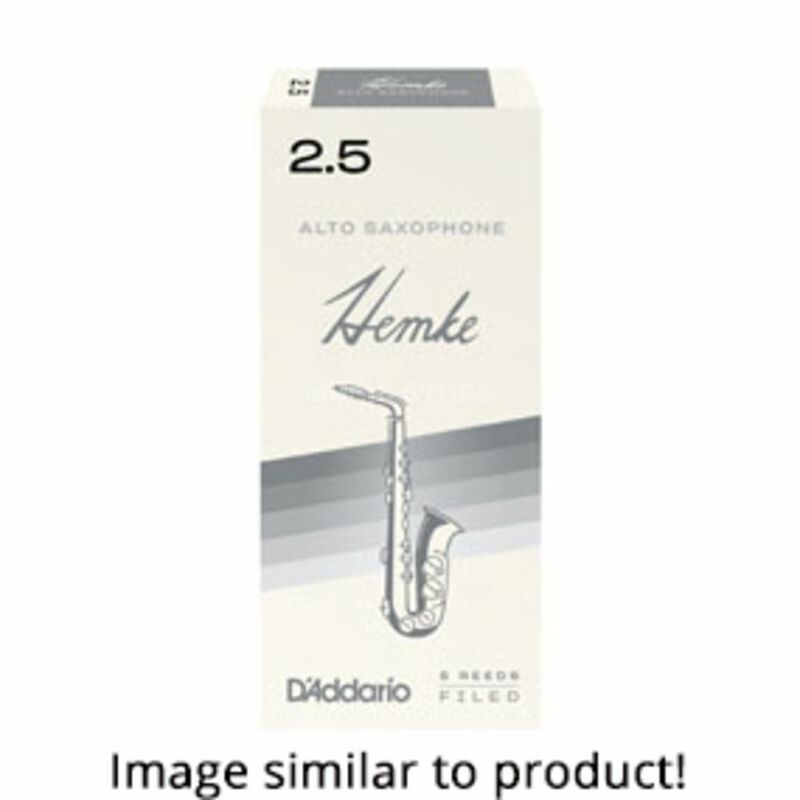 The Frederick L. Hemke Eb Alto Saxophone Reeds Strength 2.5 Box Of 5 are filed and feature a thinner tip and shorter vamp for ease of response. They are a favourite among jazz and classical players alike; they are also popular with advancing students. Rico's updated reed-making machinery and state-of-the-art process have made today's Hemke reed more consistent than ever before. Saxophone reeds medium quality. Saxophonists often change in saxophone reeds, therefore, always in stock, they need to be. It is important to price and quality. These reeds for saxophone on all counts, but medium quality.